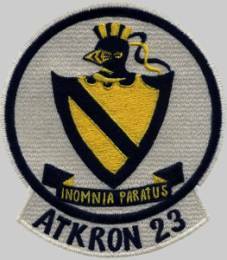 11 Dec 1951: The squadron conducted its first combat strikes. 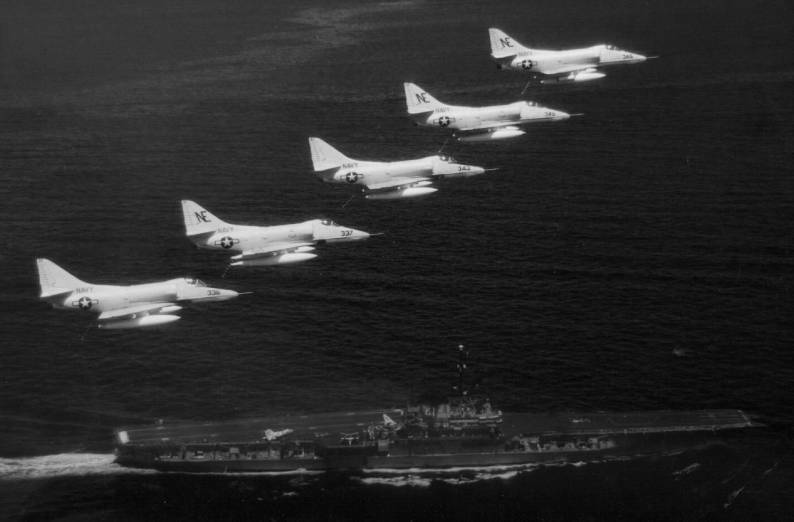 Feb 1955: The squadron, deployed aboard Wasp (CVA 18), provided air suport during the evacuation of Chinese Nationalists from the Tachen Islands following the bombardment of the islands by the People’s Republic of China. 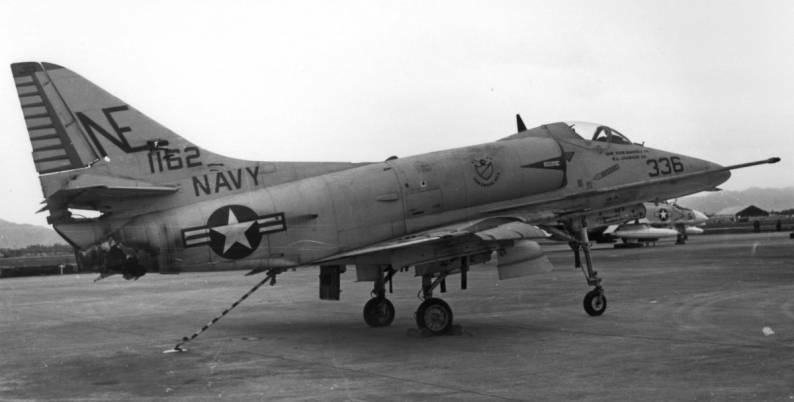 Apr 1965: While operating from Midway, on Yankee Station, VA-23 conducted its first combat operations since the Korean War. 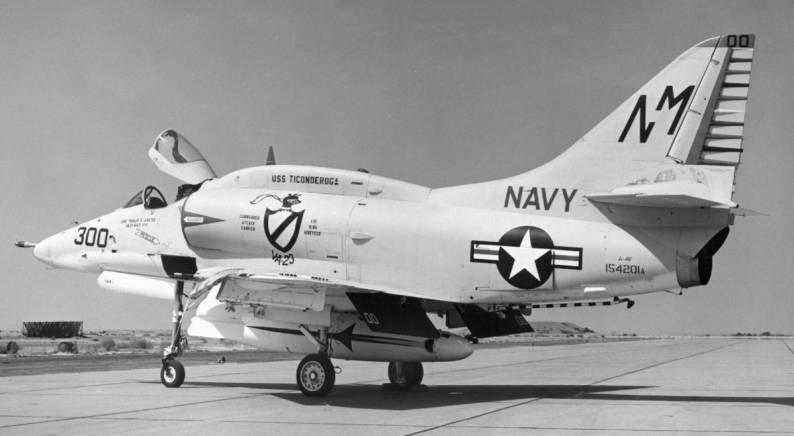 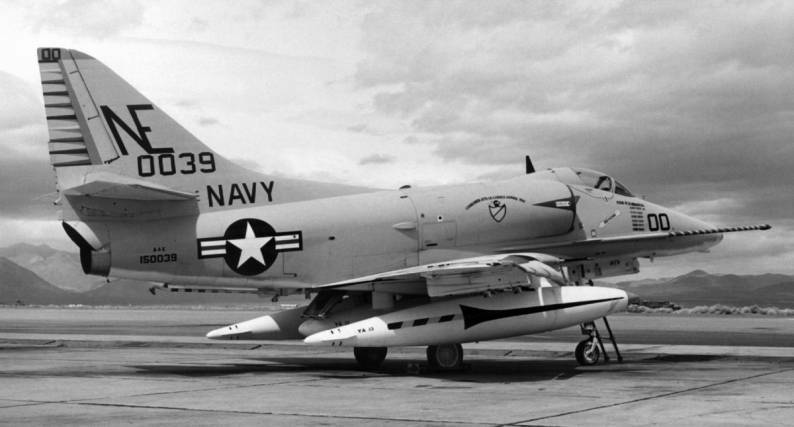 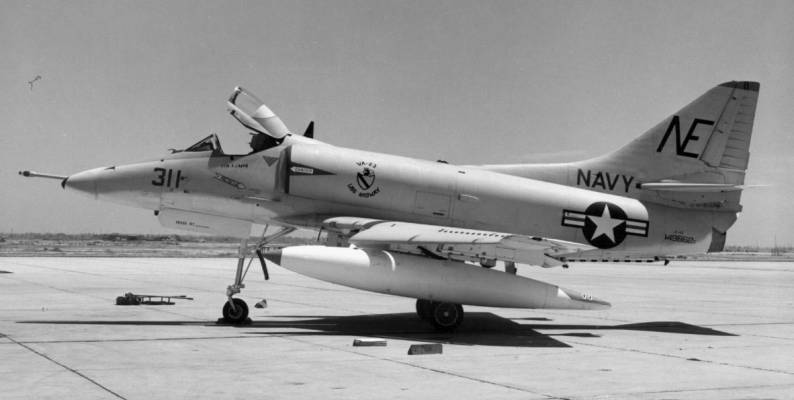 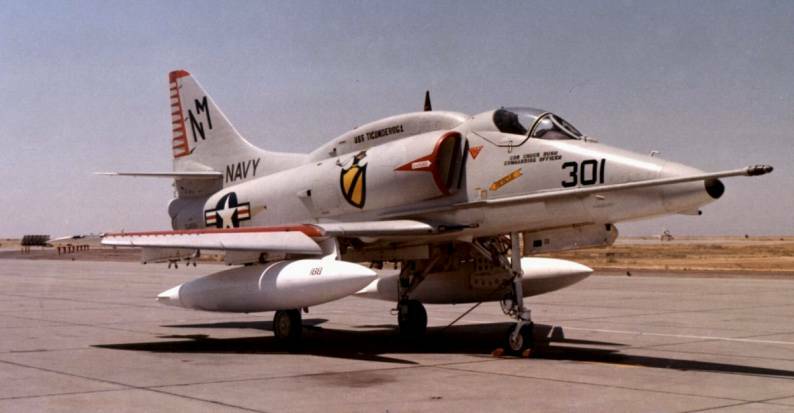 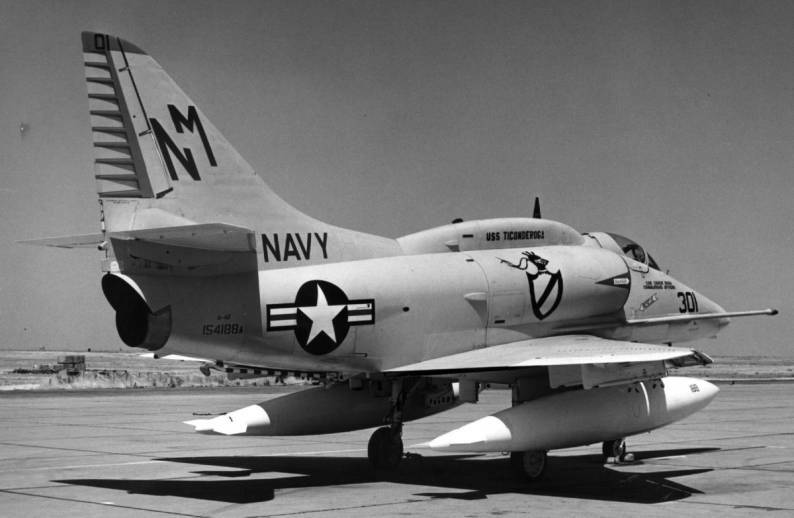 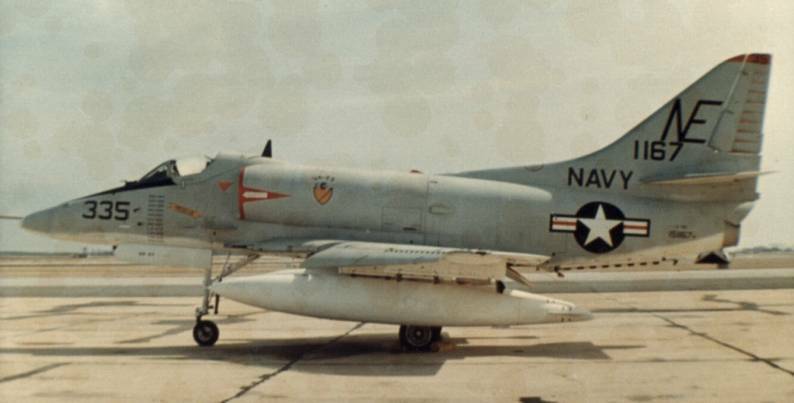 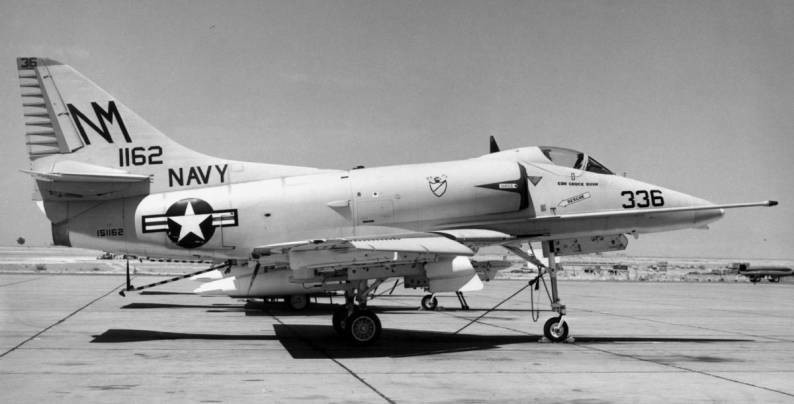 25 Apr 1965: The squadron became the first to use the Shrike missile in combat. 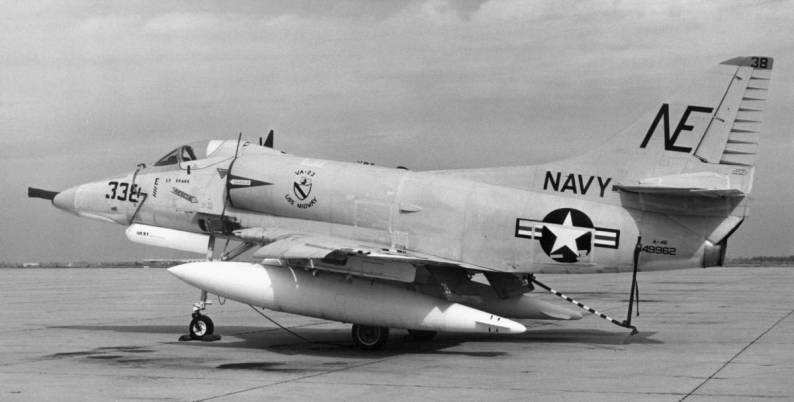 The Shrike is an antiradiation missile for use against radar sites. 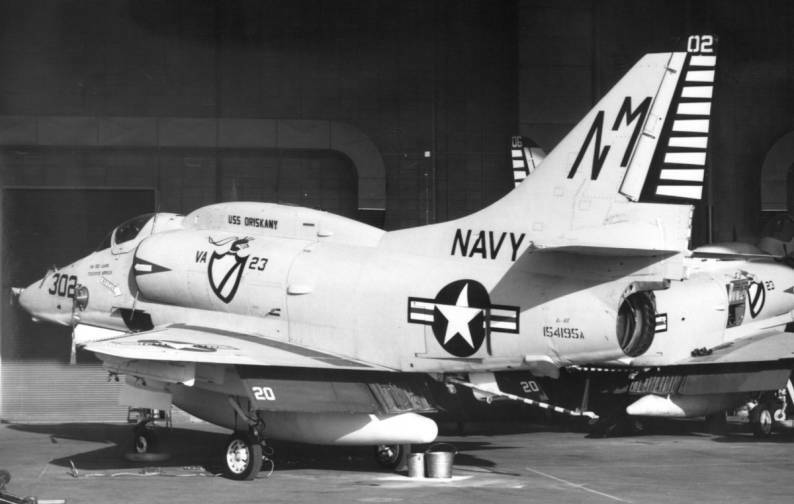 15–20 Mar 1968: VA-23, along with other squadrons in CVW-19, conducted flight operations from Ticonderoga (CVA 14) in the Sea of Japan. 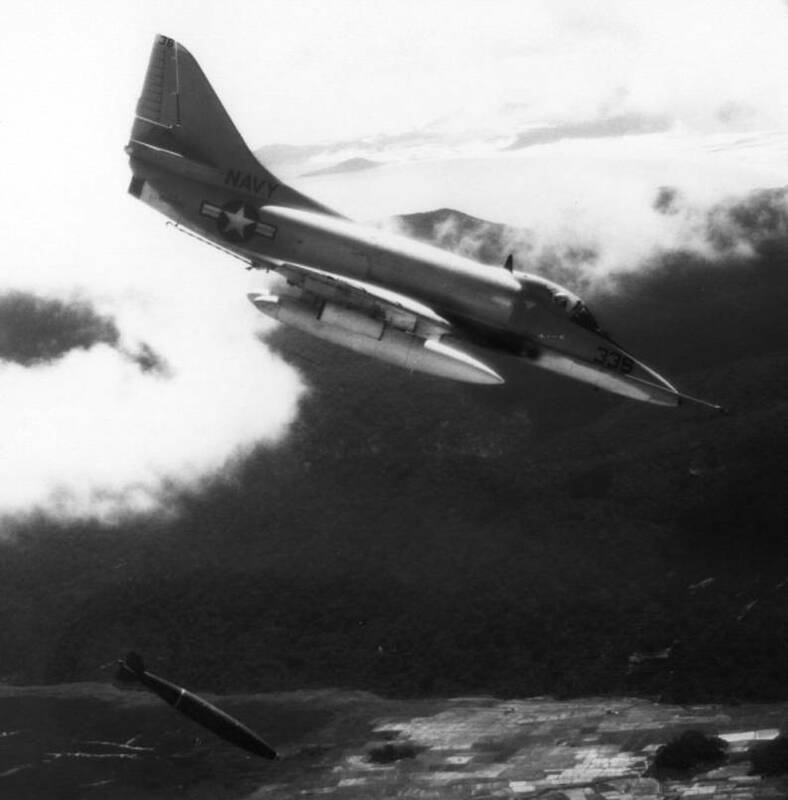 These operations were part of a continuing show of American forces in the area, named Operation Formation Star, following the capture of Pueblo (AGER 2) by North Korea on 23 January 1968. 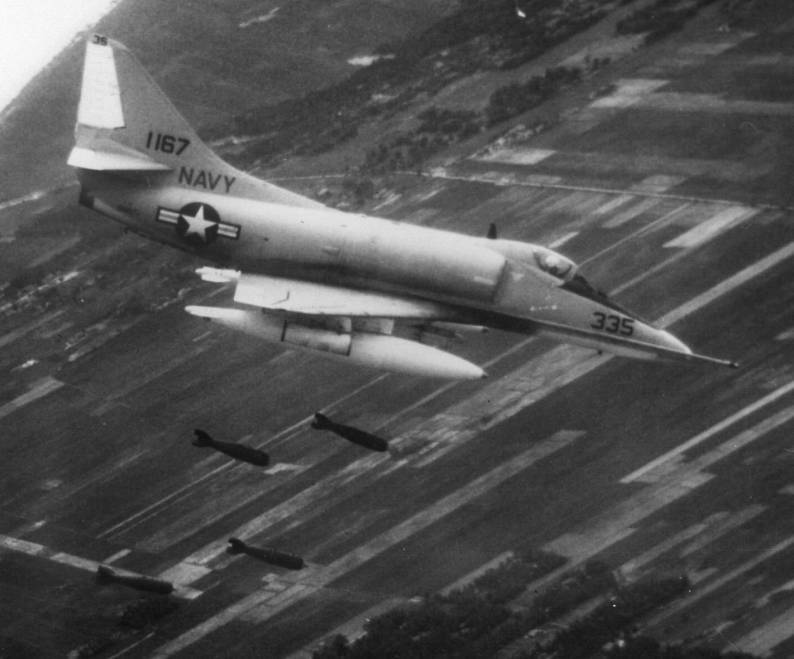 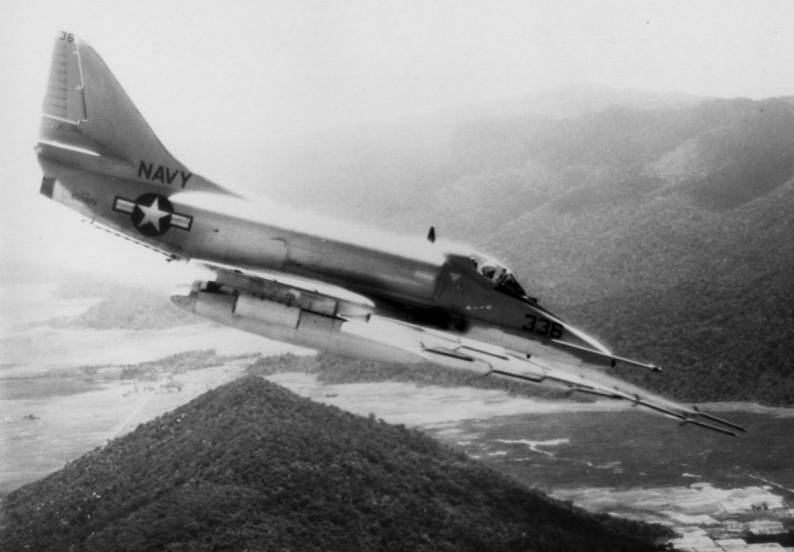 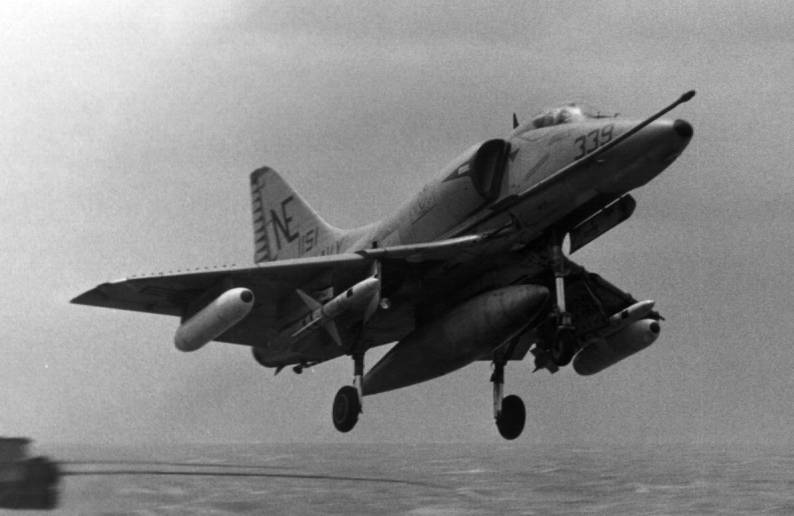 Apr 1968: VA-23 flew combat strikes around Khe Sanh, South Vietnam, in support of the besieged Marine base. 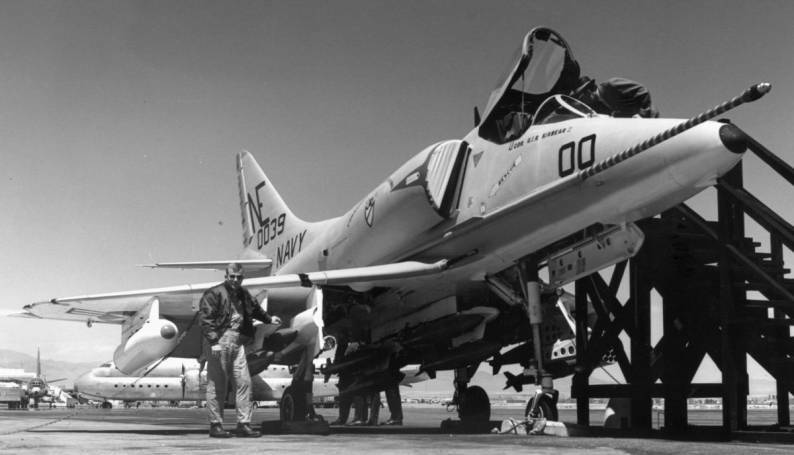 20 Mar 1970: A disestablishment ceremony was held by the squadron under the direction of its last commanding officer, Commander Theodore L. Lloyd, Jr. 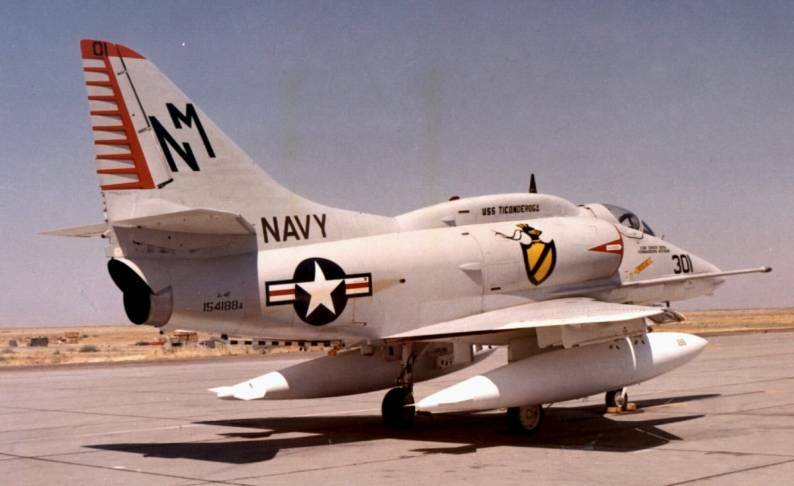 Commander Lloyd accepted the colors of the squadron and brought to a close over 19 years of active service. 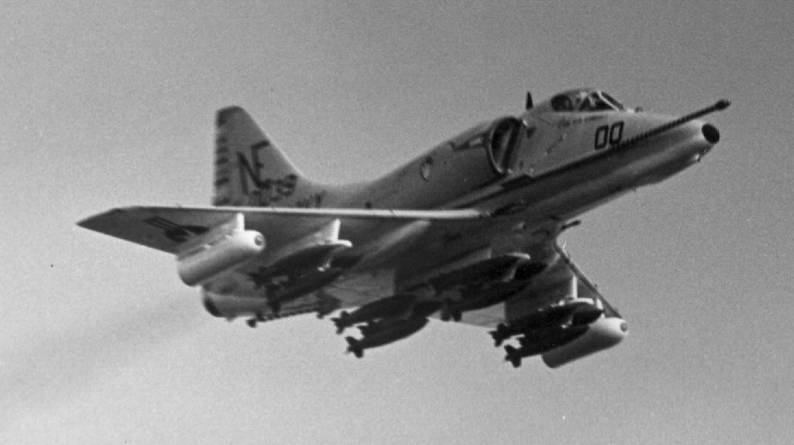 The squadron was officially disestablished on 1 April 1970.